This beautiful sculptural pendant light is designed after the Italian word for pony-tail. It changes from every angle and dimension as you move around it. 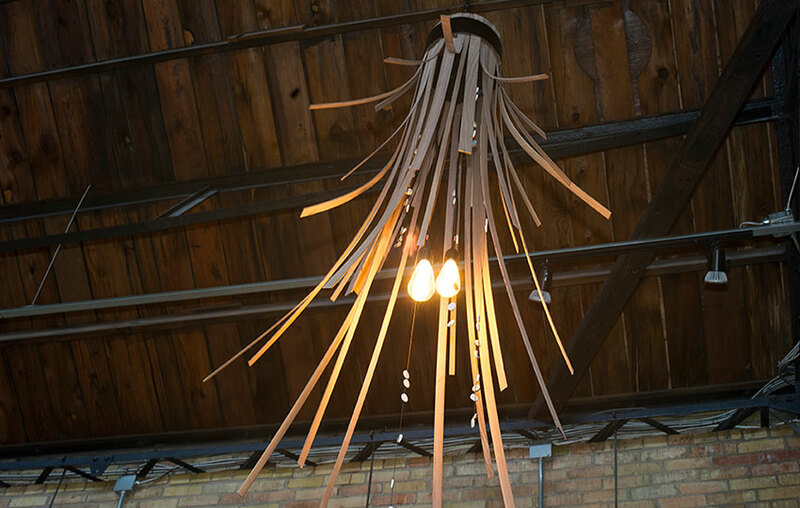 Three suspended LED fixtures highlight the formed wood strips. Tiny disc shape tiles suspended from cord reflect light as they move with the slightest air movement.